As Haivision’s founder, Mirko has over 30 years of proven senior management and worldwide sales experience with software and hardware companies in the graphics, high performance computing, and multimedia industries such as Discreet Logic, Autodesk Inc., Alias|Wavefront, Alias Research Ltd., Silicon Graphics and Hewlett-Packard. With extensive international experience, Mirko has managed and built successful high tech companies worldwide, with a focus on global expansion and building shareholder value. Mirko received his Bachelor of Science in Computer Science and Mathematics degree from Acadia University (Canada). Peter brings over 26 years of proven experience in international business development, sales, marketing, and strategic partner development. 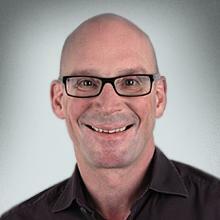 Previously, Peter served as Vice President at Hyperchip (telecommunications sector – VC funded), Discreet Logic / Autodesk (multimedia/broadcast sector – public), and Matrox (computer graphics sector – private) developing top-level strategic alliances and channel / OEM partnerships. Peter received his MBA from McGill University and his Bachelor of Engineering Science (Mechanical Engineering) degree from the University of Western Ontario (Canada). 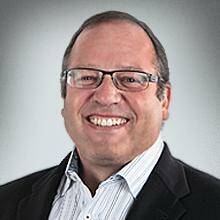 Dan brings over 30 years of finance and administrative management expertise to Haivision. 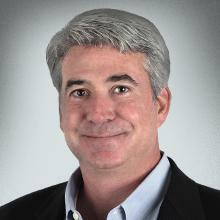 Previously, Dan served as Executive Vice President and Chief Financial Officer for FinanSure, Inc. (a student loan lender), TUSC (an IT professional services firm) and Peapod, Inc. (the world’s first internet grocer), where he has significant experience in capital raising, M&A and infrastructure building. He also served as an M&A intermediary for Geneva Capital Markets a subsidiary of Citibank. Dan received his Bachelor of Science degree in Business Administration from the University of Illinois, and his Masters of Management degree (MBA) from the Kellogg School of Management at Northwestern University (USA). Mahmoud has over 25 years of product development and executive technology management experience, with an emphasis on team building and strategic growth. 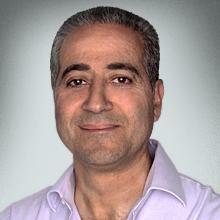 Before joining Haivision, Mahmoud served as VP Engineering and CTO at Maximum Throughput — developer of post-production solutions, where he overhauled the technology and participated in the strategic planning culminating in the acquisition of the company by Avid. 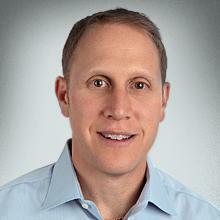 Previously, he was CTO at ZipLocal, COO and co-founder of Polyester Media and VP Product Development at Discreet Logic, where he built the development team and helped to establish a strong hold in the film and video post-production and broadcast markets, leading to the company’s IPO and its eventual acquisition by Autodesk. Mahmoud received his Bachelor’s in Electrical Engineering and Master’s in Mechanical Engineering from McGill University (Canada). Ghislain has over 18 years of experience in video networking, working in broadcast, cable distribution and streaming industries. Prior to Haivision, Ghislain served as a project engineer at Videotron, designing and coordinating the deployment of multi-million dollar projects and at Miranda Technologies / Miranda Media Networks where he served as Product Manager for the transport and multimedia products. Ghislain holds a Bachelor degree in Electrical Engineering from University of Sherbrooke (Canada). Zip has more than 20 years of product management experience in video content management, streaming and video conferencing, and unified communications. Prior to joining Haivision, Zip most recently led product management for Polycom’s video content management portfolio. 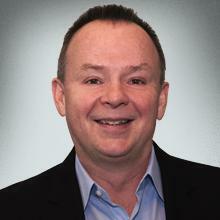 His career also included senior positions in product management at Cisco Systems and Tandberg. Zip received his MBA from the University of California, Irvine, and his Bachelor of Science at the University of Massachusetts Amherst. 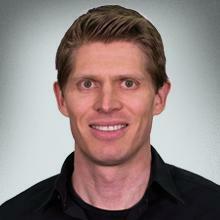 John has over 12 years of Systems Engineering experience in geospatial motion imagery workflows from airborne vehicles. Prior to Haivision, John served as a Project Engineer for General Atomics Aeronautical Systems and contributed to early standards development for marrying geospatial metadata with video which has been adopted by MISB and STANAG standards body. He also aided integration of metadata-enabled video into the General Atomics fleet of vehicles (Predator, Reaper, and Sky Warrior). John continued his career with 2d3 Sensing and Insitu Inc. (a Boeing company) to further support remote sensing workflows to maximize intelligence extracted from imagery enhanced with geospatial data in commercial drone use cases. John holds a Master’s degree in Electrical Engineering specializing in Communication Theory from the University of California, San Diego (UCSD). Leo has more than 23 years of experience in the technology industry specializing in channel sales and sales management, both domestic and international. 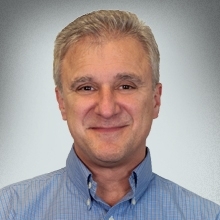 Joining Haivision with the acquisition of CoolSign, he served as VP of Global Sales for CoolSign before taking on responsibility for US Commercial sales in the Americas for all Haivision products. Before Haivision, Leo spent several years with Avocent as their Vice President of Sales, heading up their broadcast & pro AV divisions. Leo also worked with LG Electronics where he started their system integration division. He is a graduate of Clemson University (USA). 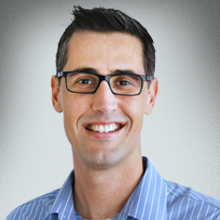 Brian has more than 10 years of systems engineering, enterprise integration, and IP video distribution experience within the US Federal markets. 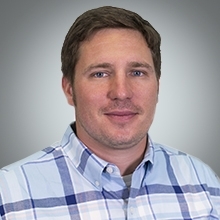 Prior to joining Haivision, Brian served as a systems engineer at Booz Allen Hamilton where he designed and coordinated the deployment of full motion video over satellite and network monitoring systems. Brian holds a master’s degree in Information Systems Management and a bachelor’s degree in Information Systems from Carnegie Mellon University. 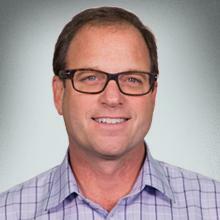 Lawrence brings over 20 years of accounting and management experience to Haivision. Previously, Lawrence was director of finance and CFO at companies in the manufacturing and finance sectors. He also served a wide variety of businesses as a principal at the accounting firm Richter where he was a key business advisor to his clients. Lawrence received his Bachelor of Commerce degree in Accounting from McGill University and his Graduate Diploma in Accounting from Concordia University (Canada). He obtained his Chartered Professional Accountant (CPA) designation in 1997. 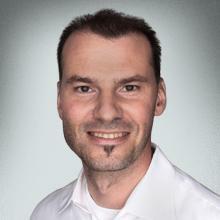 Jean-Philippe Demers brings 20 years of supply chain and operations management experience to Haivision. Before joining the company, Jean-Philippe held a number of senior management roles at aerospace, manufacturing and technology companies, including Pratt & Whitney, Hyperchip, Clarent Corporation and Procter & Gamble. Most recently, Jean-Philippe was the senior manager of advisory services at Gestion Conseil Robert Lamarre where he consulted clients on supply chain processes and strategy. Jean-Philippe received his MBA from McGill University and his Bachelor of Science degree from École Polytechnique de Montréal. Sylvio has more than 20 years of experience in partnership management, business development and marketing, with extensive experience in building global alliances and partner programs. At Haivision, Sylvio leads the company’s global partner eco-system, fostering strategic relationships with the industry’s leading technology and channel partners. Prior to joining Haivision, Sylvio led global partner programs at and served in business development roles at Cisco, 3Com and EMC. Sylvio received his MBA from the Molson School of Business.